PLEASE CHECK OUT OUR NEWSLETTER. ​Copy is available under learning center tab. You can register for the newsletter under the newsletters tab above. VB Aqua is NOT OUR DISTRIBUTOR. Any product that they sell that used our brand, PRO4000X or claims to be affiliated with us is outright fraud. VB was fired for lying and incompetence and evidently they think that that there is nothing wrong with lying to clients about the source of the products that they sell. In my opinion, you are taking a serious risk by using their product, as after all if they have no qualms about lying to us and then repeatedly claiming that they still work with us, I doubt that they will have any concerns about making outrageous claims and selling you local product with who knows what in it. Biofera LLC (Coastal Feeds) is our distributor and you can either buy product from them or directly from us. When you work with us you get guaranteed quality from an internationally recognized marine microbiologist who has specialized in aquaculture for the last 40 years. When you buy from companies that are committing fraud and claiming to be affiliated with us you are risking your entire crop buying product from someone with questionable ethics who knows absolutely nothing about bacteria and from my experience less about aquaculture. Ask if you have questions. NEW!!! AquaInTech Inc. product PRO4000X conquers new territory, NEW CALEDONIA. ​NEW!!! Shrimp Improvement Systems, LLC., Hawaii, USA., testimonial describes their successful use of our products in their RAS facility. ​Click link below or see our Testimonials page on the NEWS tab for more success stories from aquaculturists all around. DISTRIBUTORS wanted for the Philippines, Egypt, Iran, Malaysia, Indonesia, Thailand, and elsewhere. Chance to earn good money with high quality low priced field proven products. 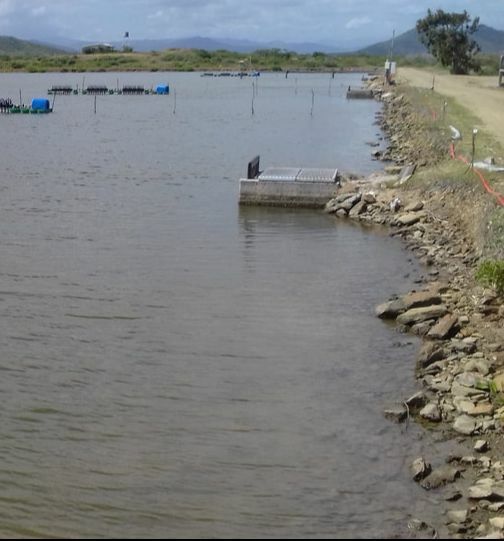 Many tens of millions of dollars are spent annually by aquaculturists all over the world to improve and maintain water quality in fish and shrimp production ponds and hatcheries. Pond ecosystems have large numbers of naturally occurring bacteria in them. These dynamic populations change and evolve as the pond ecology varies over the course of a production cycle. These systems encourage the development of bacterial populations that utilize the nutrients that the production model makes available. Bioremediation uses naturally occurring benign bacterial species to control the accumulation of organic matter. Via the production of enzymes these bacteria degrade accumulated organic matter which in turn changes the nutrient composition and thus their availability in the environment. This can have a wide range of positive impacts. 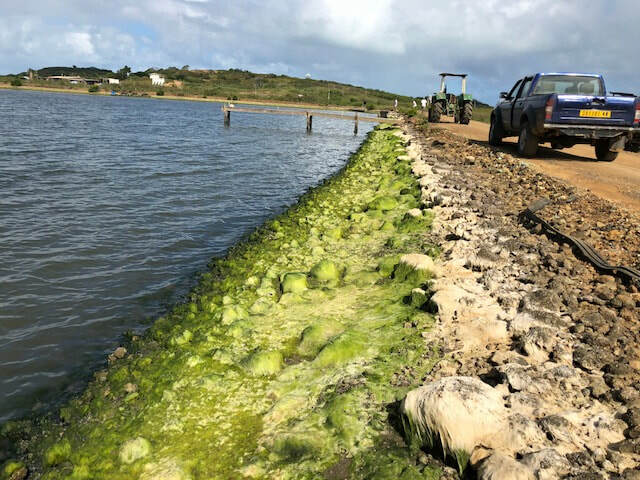 ​Proper bioremediation of pond ecosystems is a critical component of sustainable aquaculture. Bacillus species, gram positive bacteria that form spores, are the only suitable bacteria for use in bioremediation products. ​Our team has been working with bioremediation tools for more than three decades with the earliest field trails in farmed catfish going back to the mid 1990's. We were the first company to patent the use of bacteria for the purpose of improving water quality in ponds containing catfish. ​We can help you with your waste management issues.